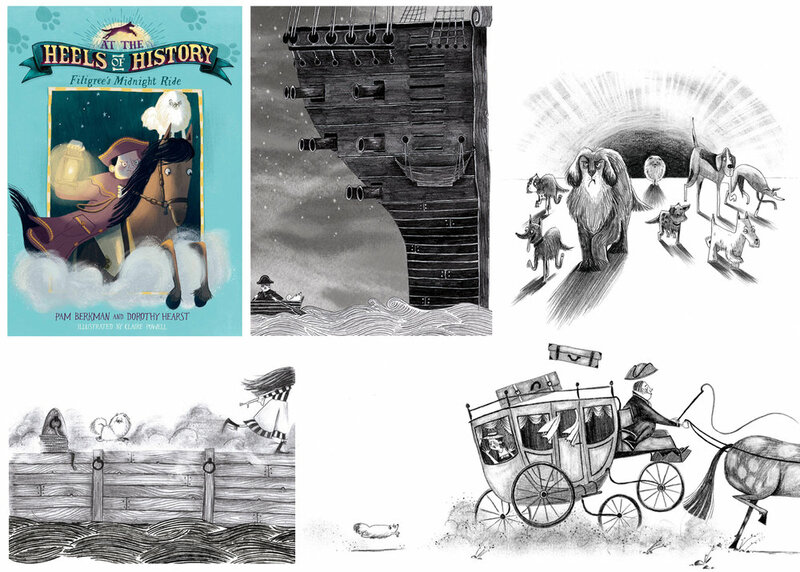 Thrilled to have been commissioned to illustrate the At the Heels of History middle grade series by Simon and Schuster US. Filligree’s Midnight Ride is the first book in the series, inspired by important events and told through the eyes, ears, and noses of dogs. We join Filigree, a five-pound Pomeranian, as he stows away on Paul Revere’s famous midnight ride through Boston. Authors: Pam Berkman and Dorothy Hearst. Published by Margaret K. McElderry Books. Available August 2019.